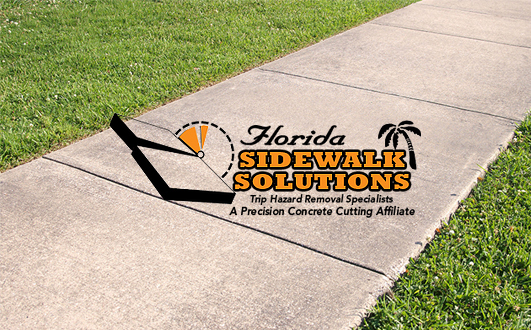 Considering a sidewalk crack repair service over repairing cracks in concrete sidewalks yourself? If not, you might want to reconsider. 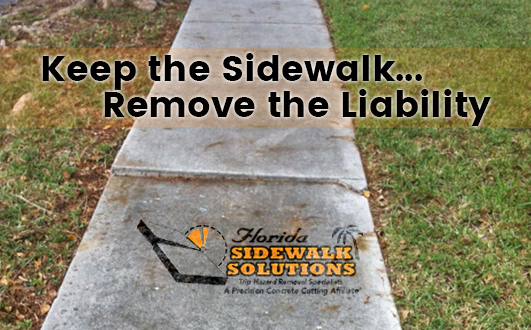 Only a professional sidewalk repair company can completely get rid of the liability that uneven sidewalks create. 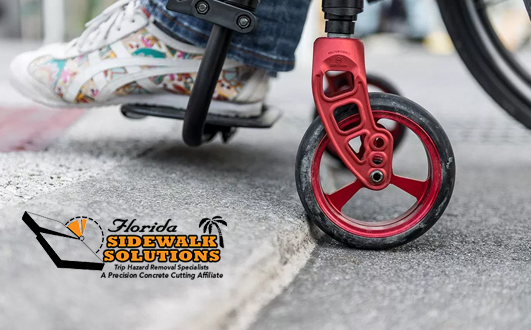 According to the Americans with Disabilities Act, an uneven walkway that has any incline greater than a quarter inch is a public safety hazard. 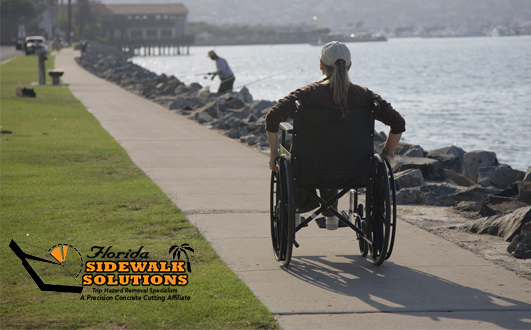 The ADA defines these specific inclines as trip hazards and takes them very seriously. Now, you might be thinking, “What does this have to do with me?”. That depends on a few factors. For instance, if you own or manage a residential, commercial, or business property with a trip hazard and someone injures his or herself on it, you could be held liable. Moreover, if the ADA specifically decides to involve itself, things could dramatically turn from unfortunate to dire. In court, you could face severe punishment that amounts to increasingly high fines. How Can I Remove Trip Hazards Completely? 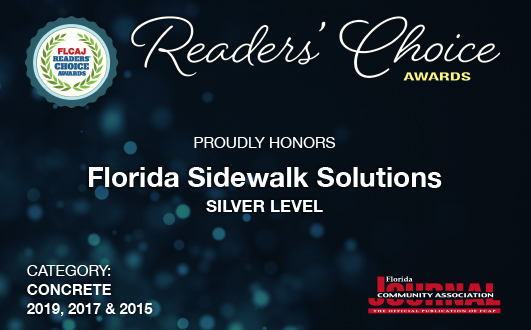 The options for removing trip hazards from uneven concrete sidewalks are plenty. There’s grinders, scabblers, filling, cutting, and, of course, replacing the sidewalk entirely. But which method is the best? Which one removes trip hazards completely? The latter question is a trick question. There are actually two ways to remove trip hazards completely. First, there is replacing concrete sidewalks entirely. This is a surefire way to remove any imperfections and rid yourself of the liability completely. However, as you probably know, that can be a rather large inconvenience. 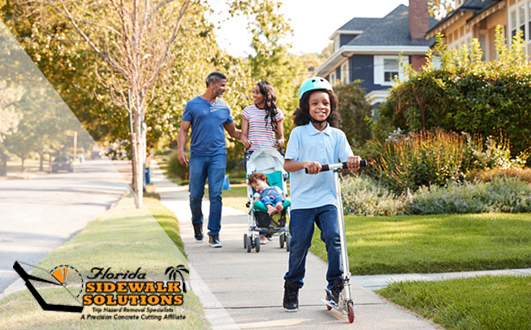 Replacing concrete is a huge hassle. 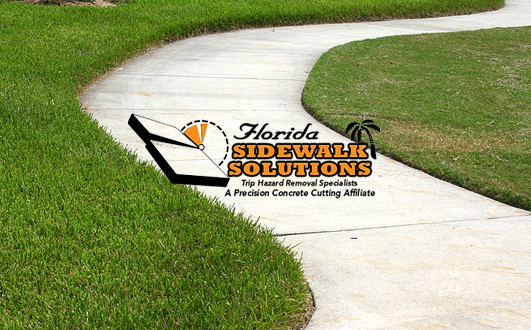 Fortunately, there’s a better, more efficient, and much less disruptive method – concrete cutting with precision technology. 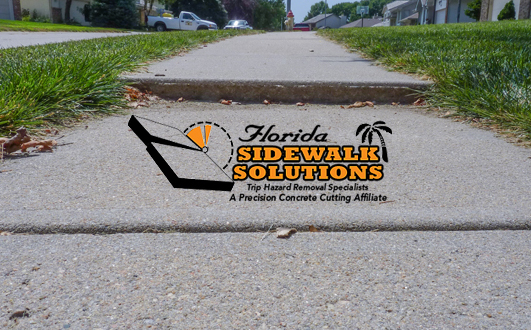 A sidewalk crack repair service that uses concrete cutting with precision technology eliminates the trip hazard entirely, leaving a perfectly level and slip-resistant surface in its place. Better still, it does so without disrupting the area for any significant length of time. 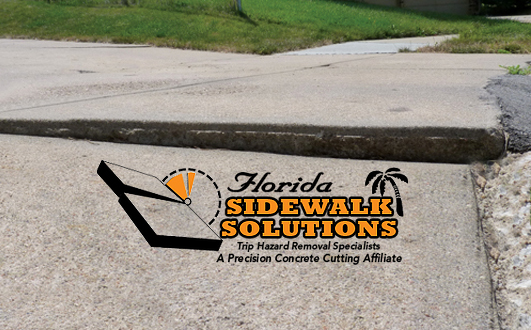 Not only is this form of sidewalk crack repair service easier, but it saves you money as well. By comparison, sidewalk replacement costs as much as 70-90% more than this type of sidewalk repair service. That’s in addition to the time and frustration you’re also saving. 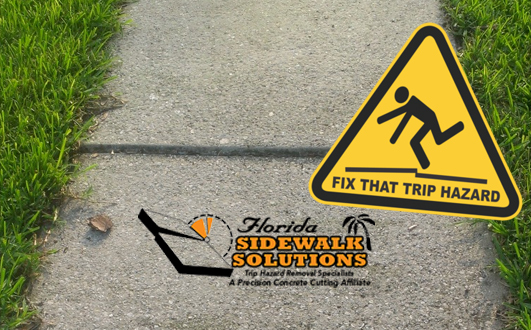 And in the South Florida area, there’s no better option for removing trip hazards completely than Florida Sidewalk Solutions. 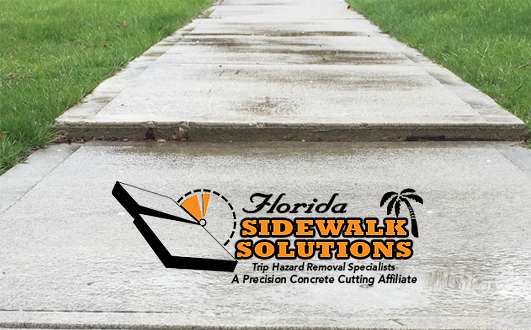 Florida Sidewalk Solutions uses concrete cutting with precision technology to help people keep their sidewalks and lose the liability. 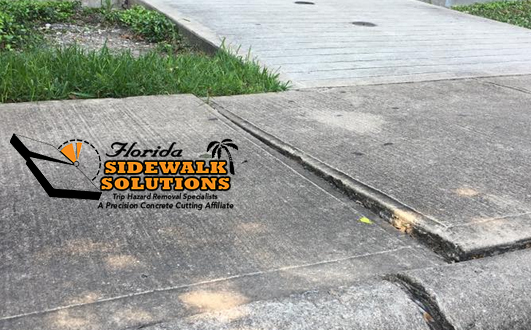 We are located in Davie, Florida and provide our sidewalk crack repair service to all surrounding cities in Broward, Miami Dade, and Palm Beach County. 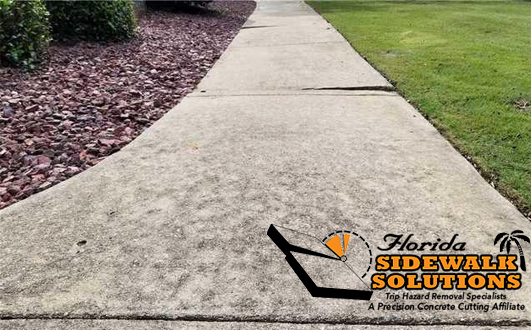 Get a free estimate for the cost of removing your trip hazard today. Get the job done right the first time and save yourself the hassle.